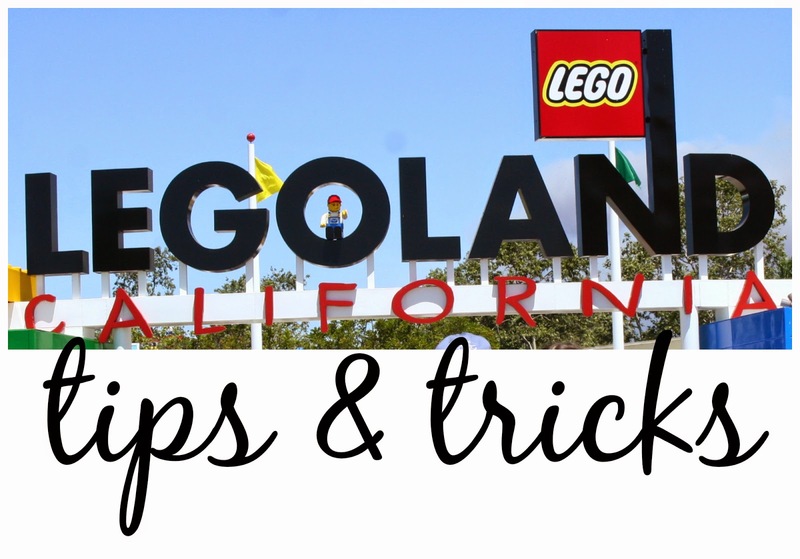 Having been to Legoland California a couple times, I learned some things the first time that helped out on subsequent trips. We have been both during the week and on the weekend (so, busy and not so busy), as well as in cooler and warmer weather. Here are some tips and tricks that I wish I had known before we went the first time. 1. You can pretty much always find a buy an adult, get a kid in free coupon somewhere. Definitely google it before you go. Sometimes you can even find buy one, get one free coupons, allowing you to use the coupon on an adult admission too. 2. It's not worth it to pay for premier parking. The parking lot really isn't that big and you are saving yourself maybe an extra 5 minutes walk each way by paying for premier parking. In my opinion, that's not worth it. 3. Once inside, I recommend skipping the rides right by the entrance, as the lines are really long given that everyone is going to those first. The first ride we saw, the line was an hour and a half long. We skipped it and returned in the afternoon to a 15 minute wait. 4. Bring a minifigure for your kids to trade minifigures with the workers. All your minifigure has to have is a head, body and legs and it can be any minifigure. Workers wear them on their name badges (and there are boxes to trade at food places) and if your child sees one they want, they just switch with the worker. This was really fun for Connor. 5. Want to save money on drinks? There are drinking fountains by every restroom, so you can bring a refillable water bottle and fill it throughout the day. Or, if you prefer soda, they sell cups with unlimited refills that you can refill around the park. 6. You can also save on food. They do allow you to bring your own in. But, if that isn't for you, at Pizza Mania in the park, you can get a kids meal for $1 more than an individual pizza and it includes the same individual pizza as for adults, a drink and a bag of chips. 7. If it is a warm day, don't forget to bring bathing suits for your kids. You do have the option to pay more and go into the water park. But, there is also a pretty cool water play area in the actual Legoland park. There is shady seating for parents right by it, so it is the perfect place for both parents and kids. On a warm day though, it gets very busy in that area. 8. If water play isn't for you, or you just want to cool off again, there are a couple indoor places around the park for kids to play with legos. There are even duplos out for the younger kids. 9. You can pay to have a Lego brick engraved with your child's name, or whatever. It costs 40 cents for the brick, or $5.99 for a brick keychain, and $2.99 to have it engraved. And you can watch it be engraved. They do this at a store in the back of the park. 10. Just in case your kid happens into one of the many Lego stores around the park, feel guilt free knowing all those Lego sets are normal retail price. No markup. They are the same price as the ones at Target and the normal Lego store. In case you care, here are a couple posts from our visits to Legoland - 2013 and 2014. We are planning on taking the kids when we are in England in October. I'm excited about that and hoping the park will be just as cool as the one in California. Hi Jessica, wonderful blog. It is going to help me a lot as I am planning to visit Legoland California with my family for the first time in the coming month. For that I have also booked my ticket through online . Thanks for the information. I really appreciate it. Keep it up.